Like to the sun at noonday was the Civilization of Ancient Greece among the civilizations of the world. Never before and never since has there existed on this earth a people more energetic, more enterprising, more versatile, more ingenious, more artistic, more literary, more philosophical, more cultured in all the departments of human knowledge, than the Greeks of classical story, more properly designated by themselves in their own language by the name of Hellenes. And from this comparison I do not except any nation even of the nineteenth or twentieth century. Never before and never since have there arisen such poets as Homer, Pindar, Sappho, and Aeschylus, with whom only Dante, Shakespeare and Goethe of the more modern world may be associated. Never before and never since have there been such orators as Domesthenes, and Aeschines, such philosophers as Plato and Aristotle, such historians as Herodotus and Thucydides, such leaders of men as Pericles and Epaminondas, such brilliant women as Aspasia and Hypatia, such sculptors as Phidias and Lysippus, such painters as Apelles and Parrhasius, such scholars as Aristarchus and Demetrius Phalereus, such physicians as Hippocrates and Galen, so many men illustrious in all departments of intellectual activity. The intellectual accomplishment of the Hellenes, and especially of that most illustrious of all the Hellenic States, the commonwealth of Athens, has never been equalled, much less surpassed by any community either of ancient or modern times. The Augustan age of Rome, the glory of Elizabethan England, the splendor of France under Louis XIV, pale into comparative insignificance bef ore the wonders of Hellenic achievement. In art alone the Italy of Michael Angelo and Titian and Leonardo Da Vinci and Raphael rivals the most successful efforts of Hellenic genius. And the Greek language, too - the language of the Hellenes - the human mind has never evolved a form of speech more magnificently beautiful, more superbly adequate to egpress all the conceptions of the human intellect than the language of the Hellenes. We are sadly mistaken if we suppose that it is a dead language. It is very much alive. Even today we think and we speak in Greek; and science would be lame and halt if it did not have that wonderful language upon which to draw in order to give name to its greatest inventions to the telegraph, the telephone, the photograph, the phonograph, even the bicycle and the automobile - all of which terms have been manufactured from Greek originals. When it was desired to give an appropriate name to the greatest discovery of modern medical science, we were compelled to resort to the Greek language for the word ancesthetic. And so a thousand other improvements and inventions of our wonderfully inventive age have required Greek names to emblazon them to the knowledge of mankind. And thus it is that the thought and the language of the Hellenes have left their indelible impression upon the thought of the human race through all subsequent ages. The Hellenes never constituted one nation. It may be said that there never was such a country as Hellas. The Greek writers never wrote of Hellas, but of the people Hellenes, intense in their nationality even without being a nation, and occupying not only the little country called Greece, but likewise a thousand colonies scattered over all the coasts of the Aegean, the Black and the Mediterranean seas, from Tauric Chersonesus to the Straits of Gibraltar. Bound together were these widely scattered Hellenes by the bond of a common language and a common religion, by their common shrine sacred to Apollo at Delphi, by the Olympic games held quadriennially at Elis, by the poems of Homer, and their enthusiastic devotion at all times and everywhere to the principles of civil liberty as they understood them. Scattered wide as they were, and never united into one compact nation, the Hellenes had a common civilization and a unity of purpose in the development of the world's history which even more compact races have never had. Even Rome only took up and carried on the great work which the Hellenes had so well matured. We have said that the Hellenes were ardently devoted to the principles of civil liberty. In the days of their greatness they had republican institutions, and it was the freedom of intellectual activity which these institutions superinduced that enabled the Hellenes to establish their wonderful civilization. That civilization is our civilization. Only republican institutions, it may be remarked parenthetically, are competent to develop the highest civilization. Witness republican Greece, republican Rome, the republican States of Italy in the period of the Renaissance, the republican States of Holland. To these sources we are indebted for all true progress in religion, in statesmanship, in jurisprudence, in science, art and literature, in all the great achievements of the human mind. By the republican principles propagated by them, America and France have made the civilization of the nineteenth and twentieth centuries possible. But this is a digression. Let us return to the Hellenes. The civilization of the Hellenes is our civilization. Their science, their art, and their literature are the basis of our science, art and literature. Equally are we concerned with their laws and their political economy, for here also the Hellenes have travelled the same course over which we are travelling, and have had a similar experience in jurisprudence. They had to fight the same battle which we are fighting - the never ending contest between freedom and privilege. Law and legislation were their favorite topics; and from their earliest to their latest day the statesmen and the philosophers of the heroic race were ever busily engaged in the application of the problem of human happiness in organized society. They can offer us many a salutary lesson in jurisprudence and statesmanship. Facing the southern shores of what we may designate as the mainland of Greece, and closing in to some extent the Aegean Sea from the main body of the Mediterranean, lies the island of Crete, about 170 miles in length and about 40 miles in width, being a little larger than Long Island off the coast of New York, which in its general contour it somewhat resembles. It lies directly in the path of the hardy mariners of Tyre and Sidon; and no doubt it was the first of Hellenic lands to receive the germs of civilization from Phoenicia and Egypt. About 1350 or 1400 years before the Christian Era the great King Minos reigned in Crete. His name among the Hellenes was almost symbolical of law and legislation. He was of Phoenician origin. That wild and wondrous mosaic, known as the Hellenic Mythology, tells us that he was the son of a Phoenician princess, the beautiful Europa, the daughter of a King of Sidon, who gave her name to the continent of Europe, and whom Jupiter in the shape of a bull carried off on his back across the sea to Crete, where she gave birth to Minos. The mythological story no doubt has a meaning; it is unnecessary to inquire what it is. Suffice it to say that it indicates, what we are also told from other sources, that Minos was of Phoenician lineage. He became the ruler of a great maritime empire, which included the coasts of Asia Minor, the islands of the Aegean Sea, the mainland of Greece, and the island of Sicily, besides his own native island of Crete. He became likewise a great legislator, and established a code of laws for Crete which served as models for all the States of Greece in subsequent times. In the establishment and administration of these laws he had the assistance and active co-operation of his two brothers, Aeacus and Rhadamanthus. And so great in this regard became the fame of all three, that subsequently in the mythology of Greece they were represented as charged with the administration of justice in the Underworld of departed spirits. This and other circumstances gave rise in later days, the days of doubt and skepticism, to the inquiry whether any of them ever had actual existence. But we may regard it as now well established that Minos at least was a real personage, not withstanding the mass of myth and fable that cluster around him, and that he was in fact a greatly more active personality than the Hellenic chroniclers represented him to have been. Singularly enough, and most unexpectedly, his palace of Gnossus, the famous Labyrinth celebrated in Grecian story, has been uncovered, and proofs have there been discovered of a high civilization that long antedated the great war of the Greeks again Troy. The substratum of truth in the Hellenic mythology has been fully confirmed, as well as the reality of the connection between Crete and Phoenicia, if proof were in fact required for anything so well established in history. Most of all, the influence of Crete has been shown in shaping the early civilization of Greece, in which the legislation of Minos was greatly the pre�dominant element. The legislation of Minos enjoyed great fame and reputation among the Hellenes; it was consulted by all the legislators and by all the states of Greece in the formation of their own codes of law. And yet it may be said that we know absolutely nothing of it. 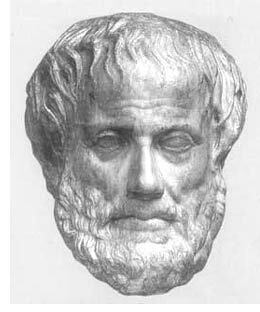 It is true that Aristotle, in his work on Political Economy, or "Politics and Economics," as he himself terms it, has much to say of the laws and political institutions of Crete, in connection with those of Lacedaemon and Carfhage, which three States he includes in a group of their own as having somewhat similar institutions, but of which he regards Carthage as the best. But the Crete to which Aristotle refers was not the Crete of Minos, but the Crete of the Dorians; for the Dorian Conquest, Which overwhelmed the Peloponnesus under the name of the Return of the Heracleidae in the century following the war against Troy, also surged over Crete and introduced new conditions into that island, so that it is now difficult, if not impossible, to tell how much of the laws and the institutions of llinos survived to later times. In historical times the Island of Crete never enjoyed the prominence which it had in the prehistoric ages. It played no part in the great drama of classieal Hellenic story. It is rarely even mentioned in the pages of the Hellenic historians. It contributed little or nothing to the later Hellenic civilization; and yet there are indications that it possessed its full share of Hellenic culture. We refer to Minos and his legislation and the civilization which he developed in Crete, not because we have anything more than the merest fragmentary knowledge of that legislation, but on account of the profound influence which that legislation is conceded to have had over the legislation of the other Hellenic States, as well as afterwards over that of Rome. But while we know nothing of the legislation of Minos except thus indirectly and remotely, no account of the development of law would be satisfactory without some mention of the great Cretan lawgiver. About 50 or 75 miles to the northeast of Crete, and just off the southwestern angle of Asia Minor, round which the Phoenicians were required to turn in order to steer their course into the Aegean Sea, lies the little island of Rhodes, with one of the best harbors of the Mediterranean Sea. As in the case of Crete, Rhodes acquired renown for the excellence of its laws. It was a maritime state. For a time, about the year B.C. 900, it held, according to the historian Diodorus Siculus, the Empire of the Mediterranean. We know that it was from Rhodes that the Romans derived their admiralty and maritime law; the Roman historians so inform us. And, as we have derived our admiralty and maritime law from the Romans, our rule of conduct in regard to maritime transactions is necessarily the same in substance that prevailed in the little island of Rhodes three thousand years ago. The perpetuity, almost unchanged, of that branch of jurisprudence, through all the many vicissitudes of thirty centuries of storm and strife; is a remarkable evidence of the excellence of Rhodian law and of Rhodian institutions.